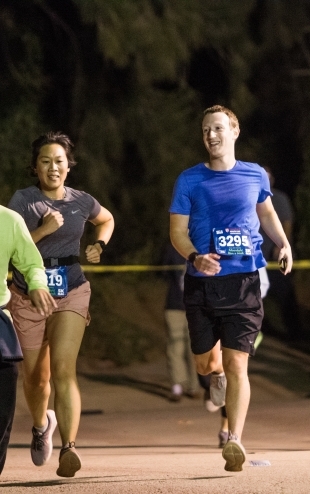 After finishing his run earlier, Facebook founder and CEO Mark Zuckerberg joins wife Priscilla Chan to finish the 5K race together at the Palo Alto Weekly Moonlight Run & Walk on Sept. 21, 2018. Photo by Veronica Weber. 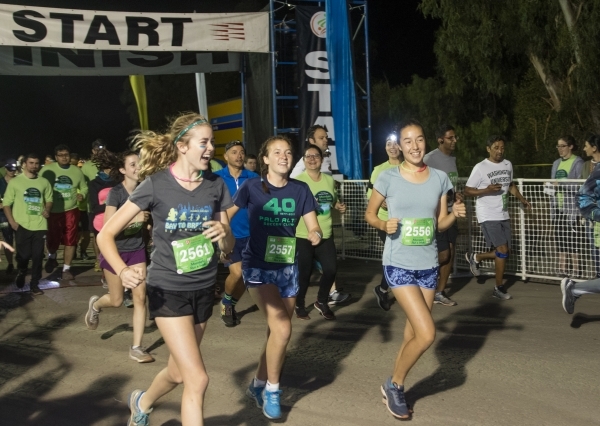 The full moon lit up the sky, but it was the smiles of 2,300 runners, walkers and even a few four-legged friends that were shining bright in Palo Alto on Friday night at the 34th Annual Palo Alto Weekly Moonlight Run and Walk. 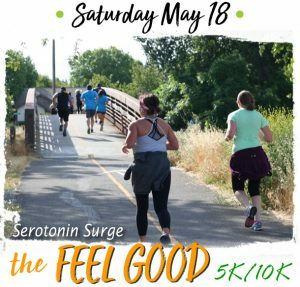 The event is jointly hosted by the Palo Alto Weekly and city of Palo Alto and includes four events: a 5K walk, 5K run, 10K run and a new-to-2018 half marathon. Runners and walkers, many of whom prepared to run in the dark by wearing reflective clothing and headlamps, traveled on paved and gravel paths through the Palo Alto Baylands Reserve. Afterwards, vendors and sponsors provided snacks and product samples, and live music filled the air of the Baylands Athletic Center. The event is a fundraiser for the Palo Alto Weekly Holiday Fund, which annually provides funding to nonprofits in the region that assist children and families. Last year’s campaign raised over $400,000 and benefited over sixty area nonprofits. Since 1993, the fund has raised and granted $6.8 million to area nonprofits. View the complete race results on our website here.